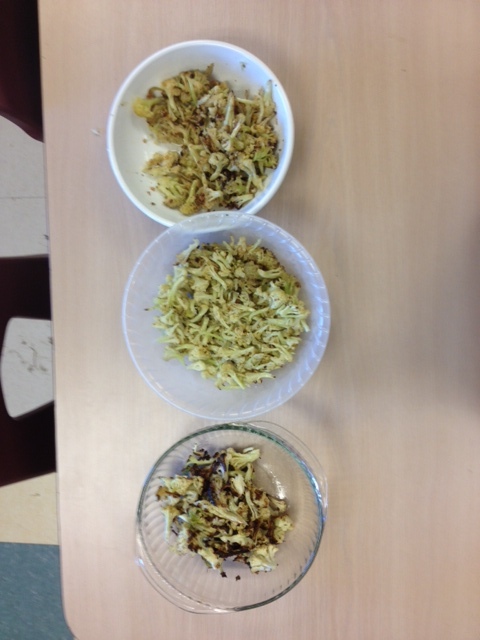 Roasted Cauliflower is just one healthy food that students at Creekside have made this month. Recently, Creekside Intermediate school’s students have enjoyed lessons in the kitchen classroom and garden with the School Garden Coordinator and Farm to School Coordinator. 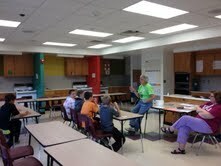 Laurel Livingston and Mary Seymour getting the new Flex class oriented to the kitchen classroom. 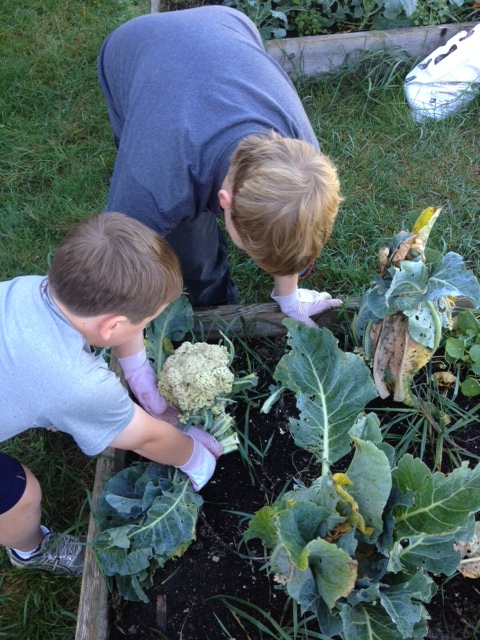 Students in Lifetime Fitness classes got an opportunity to explore an aspect of their core curriculum in an experiential manner with the School Garden Coordinator. Students made granola during a lesson about the importance of breakfast (a benchmark of the fitness curriculum) and were able to taste test different recipes (some with oil and pumpkin seeds, others with butter and flax seeds, etc. Students in the Kitchen/Garden FLEX classes at Creekside also learned about plant life cycles before pulling out tomato plants for the cold months. The following day they harvested cauliflower and herbs roasted them together in the kitchen classroom. Heat oven to 425 degree F.
Toss cut cauliflower with the herbs, oil, salt, and pepper and mix well. Place the mixture in one layer on a roasting pan. Place the pan in the oven for 25 min. or until the pieces are soft and edges of the cauliflower are lightly browned. Enjoy on its own as a side dish or add to a salad with lettuce, kale, or other roasted vegetables!